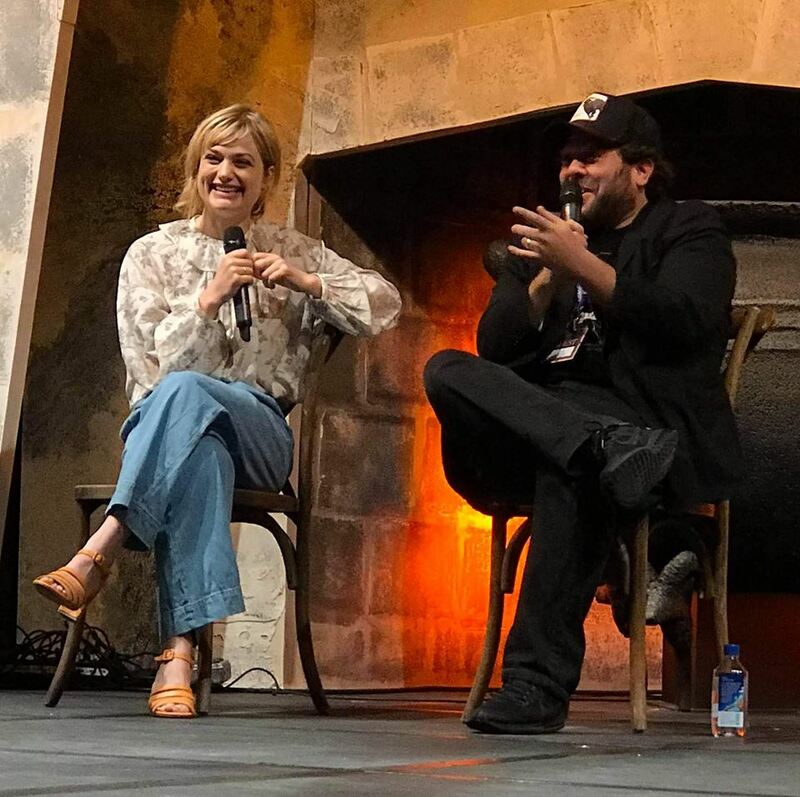 ‘Fantastic Beasts’ Duo Dan Fogler and Alison Sudol Reunited at LeakyCon 2018! 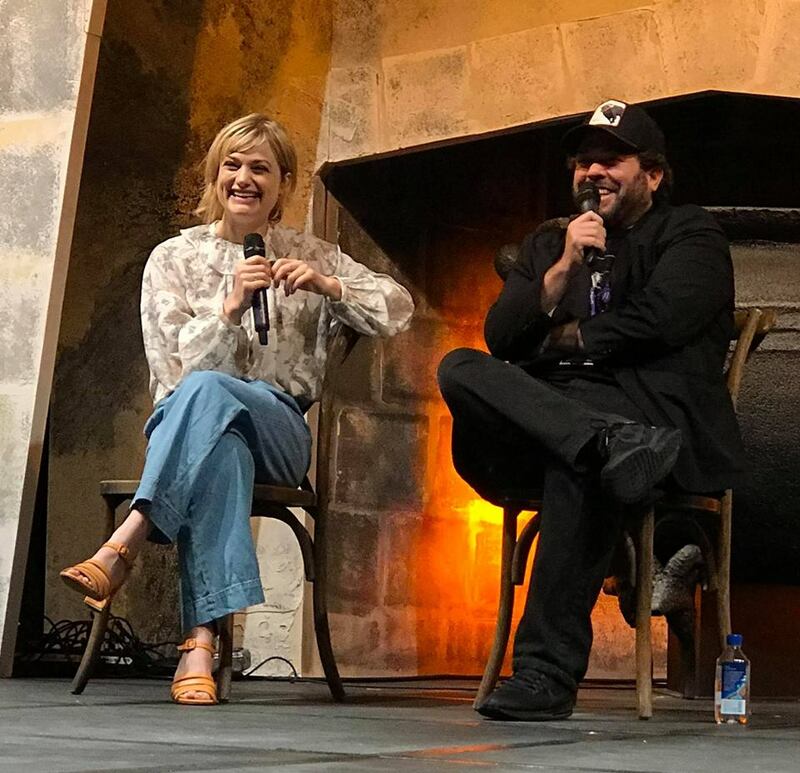 Dan Fogler and Alison Sudol, who portray one of our favorite onscreen couples in the Fantastic Beasts film series, reunited on the MainStage at LeakyCon 2018 in Dallas. 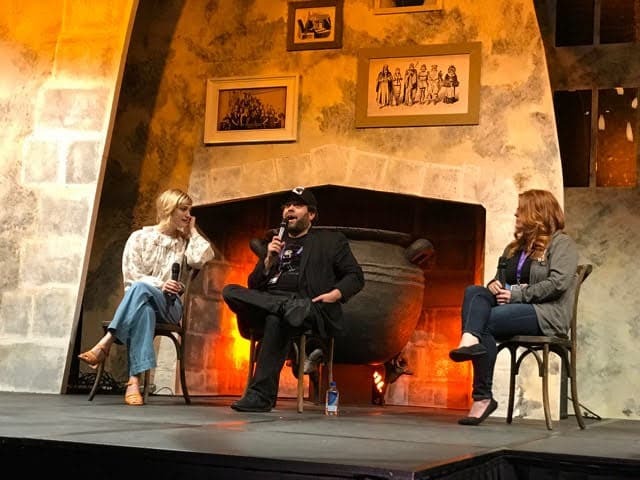 The panel, moderated by LeakyCon founder Melissa Anelli, treated fans to a wide-ranging discussion and, thanks to Leaky correspondent Kathy Paz, readers can catch up on every detail below. It’s not quite as immersive as experiencing the recollections through a pensieve, but the coverage is definitely as magical and thorough! Dan, now known to Potter fans the world over as the indefatigable No-Maj with a heart of gold, Jacob Kowalski, entered the panel first. He was followed by his costar and, he might say, better half, Alison Sudol, who plays the head-turning legilimens, Queenie Goldstein. 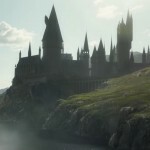 As the took their seats in front of the massive Leaky Cauldron, they both marveled at the size of the attending crowd, and Alison graciously thanked them for waiting since 7:30 a.m. Dan interjected to ask if they were all staying at his hotel and waiting in line with him for coffee that morning, jokingly suggesting he ought to run out and get a cup now! This led Melissa to comment on Queenie’s remarkable empathy, which is “so present and touching.” She asked if Alison thought that was because of what Queenie can feel and see immediately, or is it a process? Taking her cue from Dan’s observation, Melissa referenced Queenie’s line from the first film: “Aw, don’t worry, honey. Most guys think what you was thinking, first time they see me,” alluding to what women commonly experience in their interactions with men. 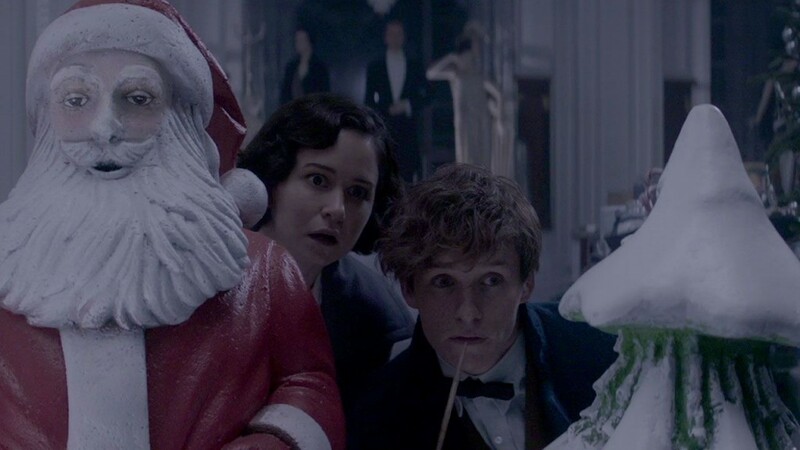 Asked about stories on set, Alison told the audience that they sang Christmas Carols during the department store scene in Fantastic Beasts because they were a little loopy at that point in filming. Dan added that they destroyed the Macy’s set and had the most fun being dragged through the department store by the invisible Demiguise and smashing into things. They went on to discuss Ilvermorny and Hogwarts houses. Alison revealed that she is Horned Serpent and would be a Gryffindor. Dan said he was a Hufflepuff in his heart and a Pukwudgie, to which Melissa added that she felt Jacob could be a Hufflepuff. Melissa moved on to what’s coming up next for the busy pair, and Dan jumped in, rattling off, “I’m on The Walking Dead. I’m a character named Luke in season nine and it’s going to be intense. Right around the time the movie comes out my episodes air.” He also said he has a bunch of comic books coming out, Brooklyn Gladiator, Moon Lake and that he’ll be at New York Comic Con the first week in October! Dan also mentioned that Alison has joined him on his 4D Experience podcast. Alison has music coming out next month and is very excited; she started a new label with her longtime manager is gently moving back into music and writing scripts. First question: What was your favorite scene to film together? Second question: What would Queenie and Jacob’s Hogwarts houses have been if Jacob was magic? Dan said that J.K. Rowling revealed Jacob would be a Gryffindor because he’s a soldier and a fighter. Alison did not know for sure, but she personally thought Queenie would be in the same house as Jacob, hanging out in the common room. Dan added that Eddie is a gentleman! 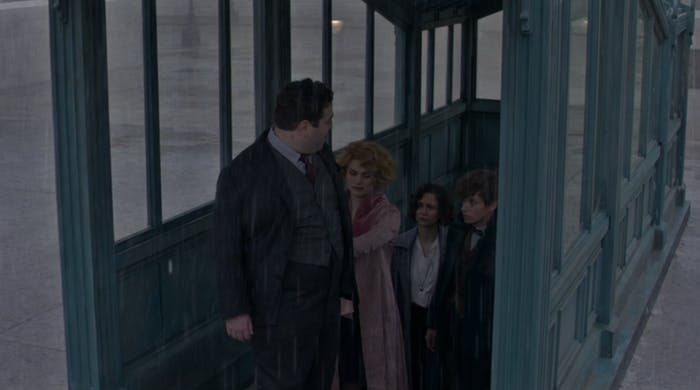 Melissa jumped in to note that she new they could divulge very little about the upcoming Fantastic Beasts: The Crimes of Grindelwald film, but asked if they could share any ways in which their characters are changing. Dan said his favorite spell was “Riddikulus,” and his favorite creature was the Demiguise because it’s so cool–it has lots of power and is super smart and would make a great pal. Alison said her favorite creature is the Niffler and that her new puppy is like a Niffler, stealing things. She also said she would like to have a Time Turner. Allison added that her Patronus is a white stallion, and Dan revealed his is both a dolphin and a squirrel! Fifth question: A woman commented that her family loves the jazz club scene in the first movie–particularly the scene with the giggle water–and wondered if they could tell her more about it. Was it scripted or improv? Dan said it was Alison’s idea that the giggle water would make No-Majs laugh. Alison explained that they had Dan do 200 different variations of the giggle, and they also took out a scene where Alison kissed a giant to get into the bar! Sixth question: What was it like working with JK Rowling? Next question: What was their favorite part about being on set? Dan added that his favorite part was seeing them recreate New York in the ’20s because he’s from Brooklyn, and the ’20s is his favorite era–and his grandfather was a baker! Last question: What was their most challenging scene? Melissa closed out the panel by thanking everyone for being there, and Dan and Alison said good-bye!